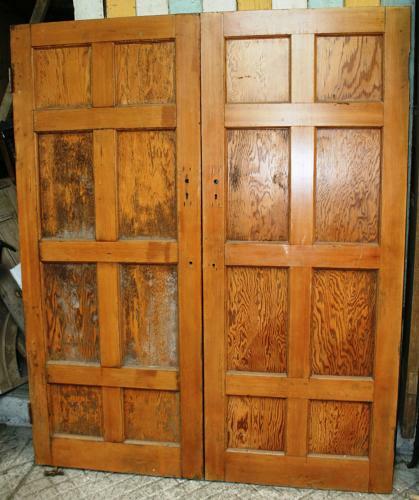 This pair of doors are in the Art Deco style with 8 pitch pine panels using ply veneered w pitch pine. For internal use only, using stub tenon construction. Currently varnished, the doors need sanding/stripping. These doors were originally 2 matching single doors which we have paired. We can set up the doors with rebates where they meet, if needed. Please contact us for a quote.